Why invest in Riviera Nayarit for my second home? Why invest in Nayarit is a great question and a good place to start! There are a number of excellent reasons why the Riviera Nayarit and the Puerto Vallarta area has become top tourism destinations as well as some of Mexico’s most desired real estate markets. Both are easily accessible and Puerto Vallarta has an International airport that accepts flights from most major cities in the USA and Canada. Puerto Vallarta embraces the best of Mexican culture. With its quaint downtown and oceanfront boardwalk you will feel like you are in authentic Mexico. Yes, even more-so than any of the other more commercial real estate destinations in the country such as Cancun and Los Cabos. And Riviera Nayarit, with its “all you’ll ever need” cosmopolitan city of Nuevo Vallarta, plus the many small beach towns along the Pacific coast, does well to complement the now bustling neighboring city of Puerto Vallarta. This entire Pacific coast area boasts tree major marinas, nine world class golf courses, and Banderas Bay, which has good sailing winds all year round and offers easy access to great fishing, diving, surfing, whale watching, and snorkelling. But, it is friendly and accommodating people that make both Puerto Vallarta and Riviera Nayarit, the largest USA & Canadian retirement (and second-home) real estate market in all of Mexico. Believe it or not, until this year, Panama had topped the list for the past six years. It still has plenty to offer retirees, however this year, with 30 countries being analyzed and ranked, Panama fell to fourth position. Ahead of Panama in third position, was Italy with its beautiful cities, its fine weather, and of course, its historic sites. In second position was, of all countries, Ecuador, which moved all the way up from the tenth position last year. Ecuador offers an extremely low cost of living, great weather, beautiful land, a growing economy tied to the US dollar, and a stable political environment. It might be a well kept secret, but Ecuador is becoming a land of opportunity and retirees are taking advantage of it. MEXICO is now the number one ranked country in the world for retirement! Mexico is extremely convenient for travellers from the US and Canada. As well, Mexico’s Senior Citizens´ Benefits Program offers retirees over the age of 60 up to 50% discounts on many essential services. And, the Mexican government has enacted many new laws encouraging foreign investment. In essence, Mexico has become an incredible place to invest in and enjoy retirement. 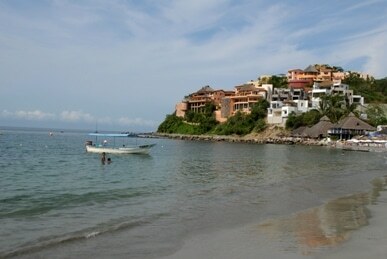 Riviera Nayarit Mexico offers the quality of life that North Americans are accustomed to with numerous extra benefits. Inland Communities – The major Mexican inland retirement communities are located in San Miguel de Allende, Guanajuato, and the Lake Chapala / Ajijic area. For the most part, these inland retirement communities are located in beautiful colonial cities with moderate temperatures year round. Most modern amenities and activities are available to retirees in these retirement cities, and they also have a very attractive cost of living. Being located inland, these retirees can purchase and own real estate with title as they would in the USA or Canada. Oceanview Communities – For those desiring magnificent ocean views, the Pacific coastline in Riviera Nayarit offers many advantages over the Gulf of Mexico coastline; the major one being protection from storms. The entire Yucatan Peninsula area, including the Cancun and Cozumel areas are great for vacations; but due to their exposure to hurricanes, they are not considered by many to be ideal for retirement. On the other hand, the Pacific Ocean coastline seldom sees troublesome storms. Riviera Nayarit has over 200 miles of ocean front communities and in all, there is a thousand miles of incredible Pebble Beach like views along Mexico’s Pacific coastline, with a climate similar to that of Hawaii. Pacific Ocean coastal cities such as Mazatlan, Manzanillo, and Acapulco are now well established and have become a tourist haven thanks to the many large resort hotel chains. Many of these places have since become quite industrialized and commercialized and therefore not really considered as ideal retirement cities. The most desirable retirement locations from north to south along the Pacific Ocean are La Paz and Todos Santos in Baja, Puerto Vallarta & Riviera Nayarit, Ixtapa / Zihuatanejo, and the Huatulco/Puerto Escondido area. 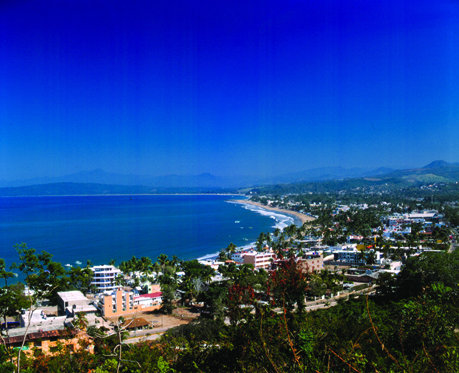 La Paz and Todos Santos in Baja, and Ixtapa / Zihuatanejo are more exposed to the elements. Puerto Vallarta and Riviera Nayarit are somewhat sheltered and tucked behind the Sierra Madre Mountains next to Banderas Bay. For this reason, they are safely protected from Pacific storms coming out of the south. Also, because Ixtapa / Zihuatanejo is approximately 500 miles south of Vallarta and Riviera Nayarit, and Puerto Escondido is 300 miles even further south, the “high season,” or the time during the year with perfect weather conditions, is reduced from 7-8 months to perhaps 6-7 months. 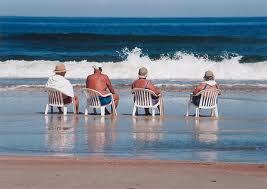 A month extra per year in Paradise is often considered to be substantial to retirees! Using the above logic, it’s no wonder why so many retirees have migrated and chosen to invest in Riviera Nayarit and the Puerto Vallarta area. This beautiful region area is authentic Mexico and has become home to thousands of North Americans that have traveled the world. Many could afford to live anywhere on the planet but have chosen to invest in Riviera Nayarit and Vallarta as their winter, if not full time, retirement destination. Located at the same latitude as Hawaii, Riviera Nayarit has a perfect climate with an average daily temperature of 73°F from November through May with virtually no chance of rain. Population & Infrastructure – With a population of approximately 350,000 inhabitants, Vallarta now has a newly established and growing infrastructure. These include upgraded roads, airport, maritime terminal, hospitals, university, and modern water treatment plants with efficient distribution systems plus modern power plants and distribution grid. High speed Internet, satellite TV, VOIP telecommunications, and US newspapers and magazines are all available in Riviera Nayarit. Most of the mega-stores found in the US and Canada have come to the destination as well including Sam’s Club, Wal-Mart, Costco, Home Depot, Office Depot, Staples, and of course, every fast food chain restaurant imaginable! Things to Do in Nayarit – Along with the nine world class golf courses, there are hundreds of tennis courts, world class deep sea fishing, and a host of land activities and water activities available. There are numerous new cinemas, theaters, and hundreds of fine dining establishments; pretty much everything you would expect in a modern vacation destination. Local Economy – Due to the explosive growth of Riviera Nayarit and Puerto Vallarta, and the influx of North Americans, it is safe to say that the entire economy of the area is based on tourism and the retirement of North Americans. As a result, thousands of jobs were created for the locals because of new construction and service related openings. It has also created an atmosphere where speaking English has become a prerequisite for a decent paying job. Therefore, most of the younger Vallartenses are now becoming quite fluent in English. World’s Friendliest Resort Destination – The inability to speak Spanish is certainly not an obstacle to investing in Nayarit or retiring in the Vallarta area! Also, because the economy is based on the North American dollar, safety is of prime concern to the locals. You will not find a safer, more hospitable city of this size anywhere else in Mexico. In fact, this was clearly revealed in a survey taken by Conde Nast magazine, where Puerto Vallarta was ranked the friendliest resort destination in the world. Now, let’s return to our quest for the top retirement haven in the world. If we can accept what the latest surveys, polls, and indices suggest, you would do well to invest in Nayarit and the Puerto Vallarta area, as this area of Mexico is now the tourism corridor to be at. Dont take it from us, ask around. The expats and baby boomers that invest in Riviera Nayarit (or Puerto Vallarta) for their second home or permanent residence will attest to the area’s magical characteristics. The quality of life here can’t be surpassed anywhere else in the world. Growth of Riviera Nayarit – The growth that we’ve witnessed in Riviera Nayarit since 2000 has been truly amazing; so much so, that the population of the region grew from 920,000 in the year 2000 to over 1,120,00 in 2015. There are currently more than 7,000 new condos currently under construction with well over 20,000 more planned in the future by Fonatur, the Mexican Tourism Board. Because real estate sales in Mexico are generally done on a cash basis, this economy has not been affected by the mortgage related problems seen in the USA and Canada. Real estate values have tripled since 2000 and continue to appreciate daily. Invest in Nayarit and the property you own here will surely be an investment of a lifetime. Vacation in Nayarit First – If you’re a baby boomer, either recently retired or about to retire, you owe it to yourself; make Riviera Nayarit your next vacation destination. Vacation here and experience for yourself all the qualities Nayarit has to offer. You’ll definitely be impressed and you just might end up thinking that you to should invest in Nayarit. This glorious Paradise is Mexico’s Pacific Treasure. You will probably agree that Riviera Nayarit and Puerto Vallarta are the best places in the world to retire in. 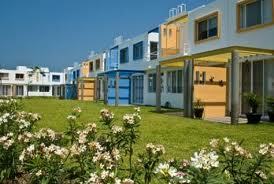 Want more information about how to invest in Nayarit. ASK us by emailing info@rivieranayarit.com or call 1-800-960-5917…or book a vacation and come visit us!